Under the motto of “Row Well. 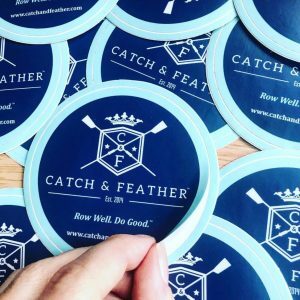 Do Good,” Catch & Feather offers fun and functional rowing attire with the proceeds from all sales going toward support programs for underserved youth through learn-to-row programs. An initial gift of $500 has been generously donated to USRowing’s America Rows Program, the mission of which rings true with Lengel. “Rowing sometimes has so many barriers,” said the Catch & Feather founder. “We want everyone to have the opportunity to learn to row and get to experience the wonderful opportunities that rowing creates.”What is remarkable about Lengel’s story is that she hasn’t even been rowing that long. The 17-year-old member of the Choate Rosemary Hall High crew started rowing when she was 15.Before picking up rowing, Lengel had been an enthusiastic athlete, an avid swimmer and tennis player. Her father, who also loved the outdoors and being active until his sudden passing in December 2012, inspired her. His passion for sports drove her to try something new. When she picked up an oar at her first rowing clinic at Saugatuck Rowing Club in Westport, Conn., she never looked back. 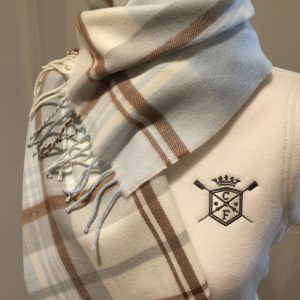 The conversation for developing fashionable rowing gear inspired by traditions from Ivy League to Oxford styles came a year later, after Lengel attended a Dartmouth College rowing camp. Being familiar with USRowing, Lengel went through the website looking for programs which would be a match for her new startup. She found out about America Rows and she new immediately it would be a perfect match. The mission of USRowing’s America Rows program is to support inclusion and diversity in the sport of rowing. Inclusion in sport means that individual differences are embraced and respected. USRowing is passionate about recruiting and retaining the most skilled professionals and athletes, and it recognizes that diversity will strengthen the sport of rowing by changing the lives of all participants. America Rows also aims to increase awareness of rowing and create a national appreciation for the sport, in particular, highlighting its advantages for underrepresented youth, people with disabilities, and people of all ages, socioeconomic circumstances and fitness levels. Catch & Feather will continue to branch out as the website www.catchandfeather.com is set to debut on May 21. 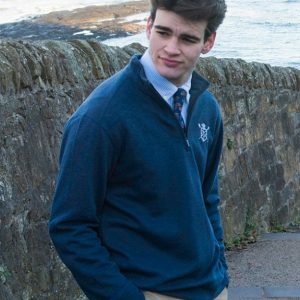 The website and pop-up store will offer a boutique selection of rowing clothing and accessories that offer the most ideal combination of traditional varsity looks, performance wear and even a touch of humor. Look out for Catch & Feather pop-up stores at these events: New England Interscholastic Rowing Association (NEIRA) Festival (Worcester, Mass. ), USRowing Youth National Championships (Sarasota, Fla.), USRowing Club National Championships (Bethel, Ohio), Head of the Riverfront Regatta (Hartford, Conn.) and Head of the Housatonic (New Haven, Conn.).